After “Fireflies” put Owl City on the map, frontman Adam Young has had trouble recapturing the creativity that made his music special. You might remember hearing about the one-man band Owl City back in 2009 when “Fireflies” hit the top of the charts. By then, the story of Adam Young had gotten out—he was an inspired insomniac who wrote songs in the middle of the night and created the majority of his music on his computer and keyboard. The skilled entertainer’s ingenuity and ambition set him apart in the music industry, and his work was praised for its creativity and unique style. His pieces more often than not had a dreamy feel to them (most likely because he was wishing he was asleep). Maybe it’s just the English major in me or my hopelessly idealistic spirit, but whimsical lyrics like “The silverware swam with sharks in the sink” (“Plant Life”) and “I’ll carry you away into the velvet sky and we’ll stir the stars around” (“On the Wing”) took my breath away. Owl City’s electronica may not be everyone’s cup of tea, but its tunes are a testament to the adults that just can’t seem to outgrow their imaginations—you know, the kind of grown-ups that run around proclaiming their love for Disney and wishing they could be mermaids. And the singer-songwriter occasionally let his comedic side shine through with puns and clever wordplay. For example, he just couldn’t help himself in “Dental Care,” opening the chorus with “I’ve been to the dentist a thousand times, so I know the drill.” Oh Adam, you silly goose. Other times, he would sneak the witty lines in more subtly, like “Riding a dirt bike down the turnpike always takes its toll on me” (“Cave In”). I just can’t help but appreciate his sense of humor, but then again I’m the type of person who loves horrible gags. So if you’re like me and happened to adore growing up with a dad who constantly cracked cringe-worthy jokes, then you might enjoy the musical stylings of Adam Young. And if you were dazzled by his words but less than thrilled by his techno sound, then Sky Sailing might be just what you needed. Under the new name, the aspiring artist released an album called An Airplane Carried Me to Bed as an independent project, featuring songs with the same type of wistful lyrics that Owl City fans know and love but with a more acoustic tone. Unfortunately, the album is the only one of its kind since Young decided to put the project to bed and make his way back to producing with Republic Records. I guess you could say that ship had sailed…All right, I’ll stop now, I promise. But the sad truth was that the entertainer had been on a steady decline ever since the debut of Ocean Eyes. Following the 2009 collection, his albums have had progressively less and less content, all of them moving away from the poetic musicality that made him original. 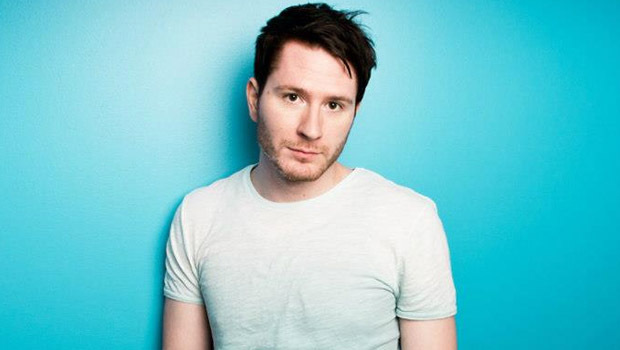 The singer’s more recent and popular singles have also been a marker of Owl City’s fall from grace. Sure, “When Can I See You Again” (from Wreck It Ralph) and “Good Time” were catchy, but where are the lyrics about cricket choruses or skating from Maine to Alaska? Because it’s that sort of creative writing that captures the essence of Young’s records, and without well-written verses, that spirit is lost. Other than the aforementioned singles, Owl City has all but disappeared. And although the quirky musician just released his first album in three years back in the summer of 2015, Mobile Orchestra proved to be more than disappointing with a mere ten tracks and some pretty bland, uninspired writing. Additionally, most of the songs from the album have the Christian praise vibe that I’m not crazy about. This isn’t the only time Young wrote numbers with religious undertones. In past albums, he occasionally sprinkled in a spiritual tune here and there, which in my opinion was one of his only downfalls. Don’t get me wrong, Christian melodies can be all right every now and then, but Young’s worship hymns are sort of random and don’t quite mesh with the rest of his music. I could maybe forgive him if he just came out with one Christian compilation and called it a day, but the fact that he just has a handful mingling awkwardly with his other pop songs is a little bothersome. There’s just no beating Owl City’s older pieces from his golden years (I’d say between 2007 and 2011), but I’d like to see the multitalented musician make a comeback, provided he revisits his original style of pop. In my opinion, he has the potential to become great again if he would simply stick to his roots. I don’t know why the quality of his work began to drop, but I have a few ideas. One scenario could be that the artist within him was trying to evolve—and then failed miserably. It might be he just outgrew his own style of music and lost touch with his imagination. Who knows, maybe his work changed because the famed insomniac started getting some more rest. But if that’s the case, then he might consider pulling some more all-nighters and drinking a few Red Bulls to bring the magic back. Whatever the reason for Owl City’s decline may be, I hope that Young decides to continue to share his talent for songwriting and producing, because he really does possess a special gift that no other musician has—at least not one I’ve heard—even if his latest album doesn’t show it. Regardless, it would be a shame to see his abilities go to waste, and with enough drive (and less sleep), I think he could be amazing.